Die hard fans of the cult classic television show Buffy The Vampire Slayer have long been hoping for a small screen reboot, and it seems they're not alone. The show, which recently celebrated the 21st anniversary of its creation, ran for 5 years on The WB before switching to UPN for its final two seasons. With numerous television shows getting the reboot treatment, including other supernatural hits like Charmed and Roswell, a Buffy reboot would definitely be a welcome addition to any network lineup. But only when show creator Joss Whedon decides the time is right. Whedon created the now iconic television series back in 1997, starring Sarah Michelle Gellar, David Boreanz, Alyson Hannigan, Nicholas Brendan, Charisma Carpenter, Anthony Stewart Head, Seth Green, and James Marsters. 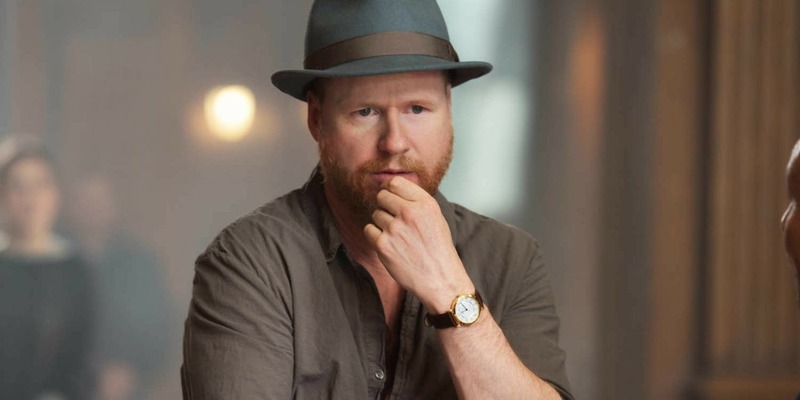 Whedon has made a return to the series in a way; he has been confirmed as co-writer of the upcoming season of the comic book series that picked up where the television series left off. But that doesn't necessarily mean that Whedon will want to bring the show back to the smalls screen. Deadline is reporting that Fox Chairman and CEO Gary Newman is definitely down for a reboot of the vampire/slayer hit show. During the INTVconference in Jerusalem, he stated that BTVS “is probably the most ripe show we have for bringing back,” before adding, “It’s something we talk about frequently. Joss Whedon is one of the greatest creators we’ve ever worked for. When Joss decides it’s time, we’ll do it.” While Newman didn't confirm a reboot is coming or even in the beginning planning stages, it's clear that it would have a home if Whedon decided to step back in to the world of Sunnydale. Last year during the 20th anniversary of the show Whedon seemed dead set against the idea of a reboot. "You bring something back, and even if it's exactly as good as it was, the experience can't be," he told THR. "You've already experienced it, and part of what was great was going through it for the first time. You have to meet expectations and adjust it for the climate, which is not easy. Luckily most of my actors still look wonderful, but I'm not worried about them being creaky. I'm more worried about me being creaky as a storyteller. You don't want that feeling that you should have left before the encore. I don't rule it out, but I fear that." Newman's comments stemmed from a conversation about the current trend towards rebooting beloved shows, giving hope to Buffy fans that they may once again see The Slayer on the small screen. Perhaps now that Whedon has stepped away from the Batgirl movie and committed to co-writing season 12 of the Buffy comic book, he may be leaning towards bringing the BTVS universe back to the small screen. Since Buffy Summers enabled all potential slayers with slayer powers at the end of the show's run, a reboot is definitely possible. Still, it doesn't seem as if Whedon is in any rush to bring Buffy back to TV, telling THR that is may be time to "move on [and] create new things for people to try to reboot." Buffy was and still is a beacon of girl power - more than just a strong female character but an unapologetic feminist and iconic action hero that appealed to women and girls of all ages. Seeing her back on the small screen would not only be timely, but contribute to the current television landscape that needs to show more girls as action heroes. As Sarah Michelle Gellar told THR last year, the character of Buffy was pretty amazing. "She taught me it wasn't about being perfect; it was about trying the hardest to be the best you you can be. I also loved how hard Buffy worked, as she had no typical powers most superheroes have. She had to train and work hard at her craft. Buffy reminded us that being different was not only OK but really cool - and at a time when most kids are trying to desperately fit in." Whedon may not be ready to bring Buffy the Vampire Slayer back, but we can still cross our fingers, right?